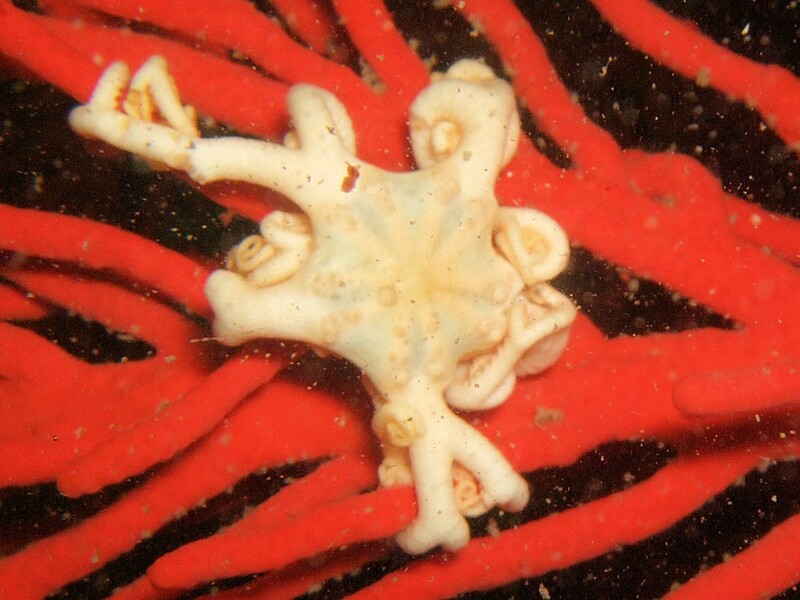 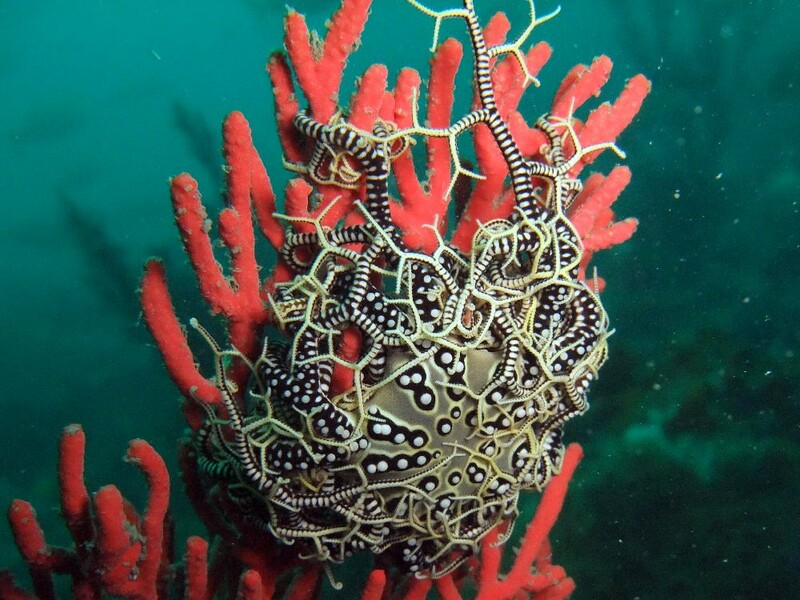 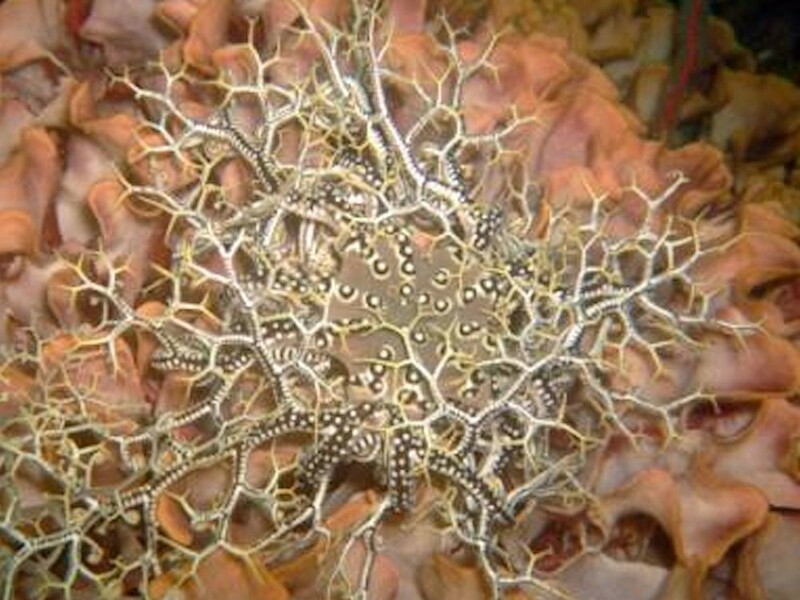 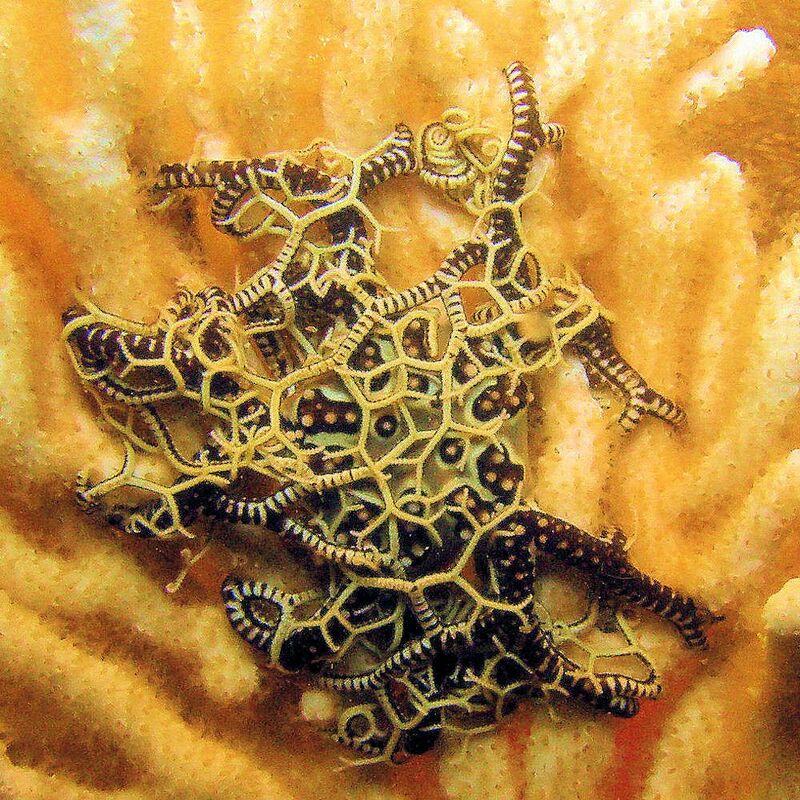 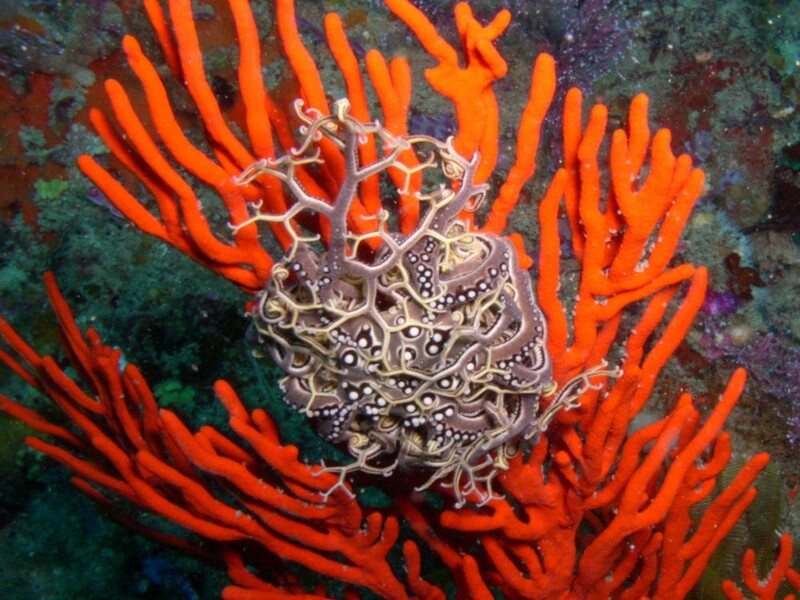 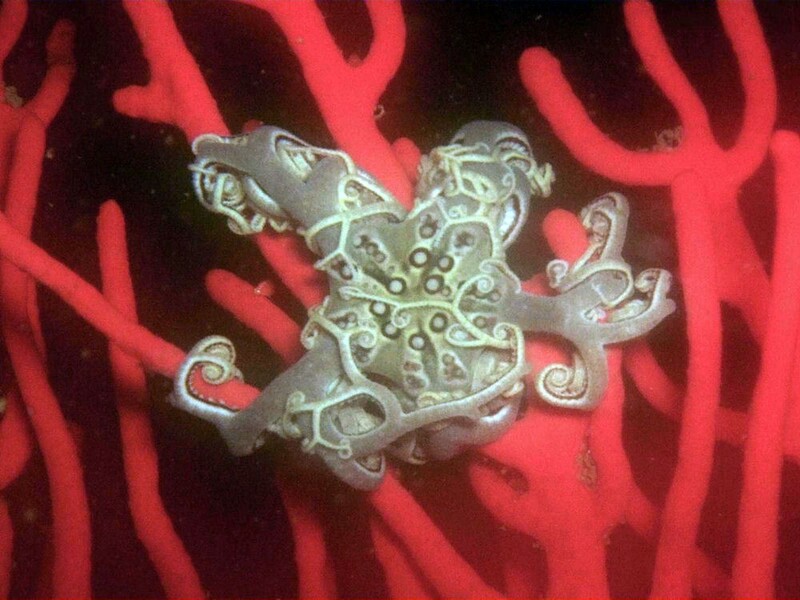 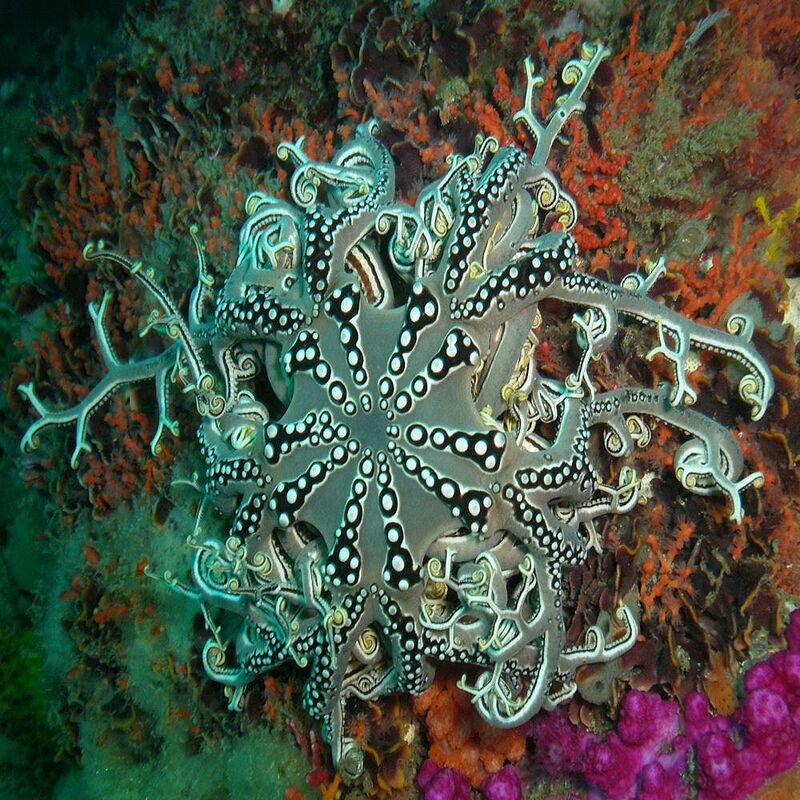 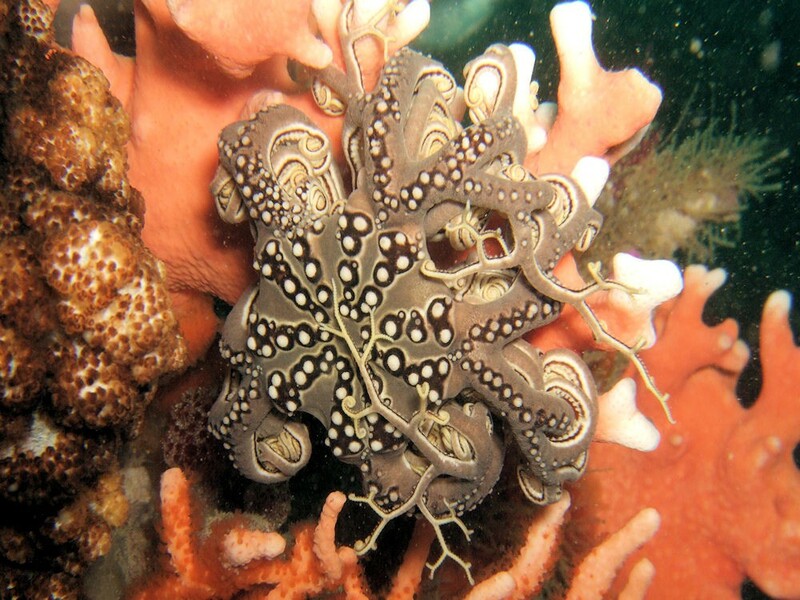 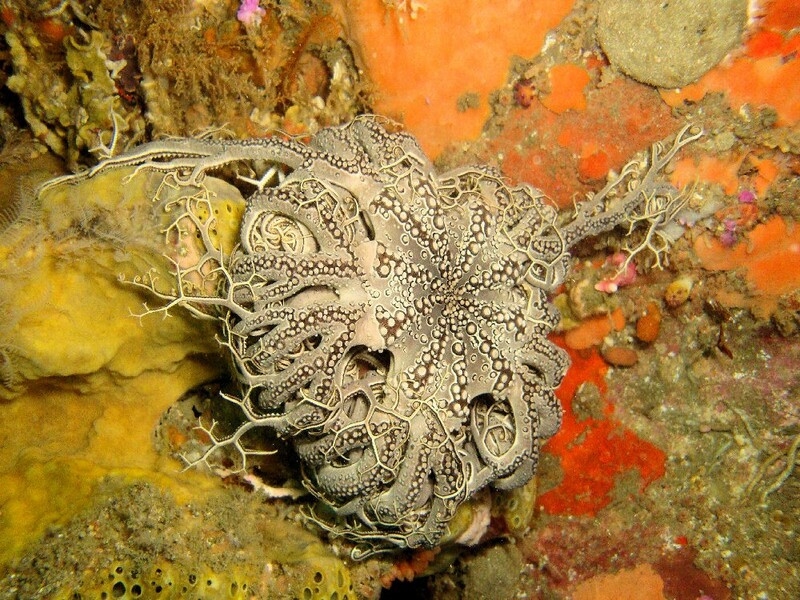 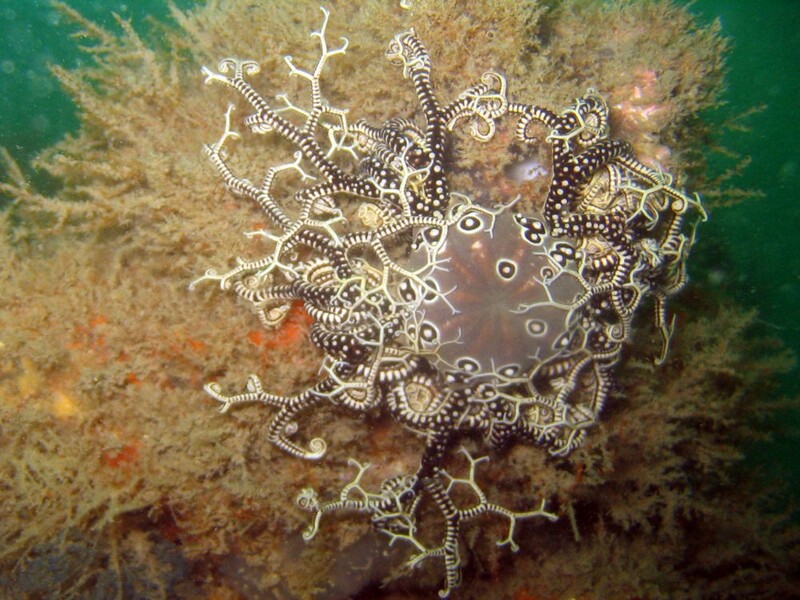 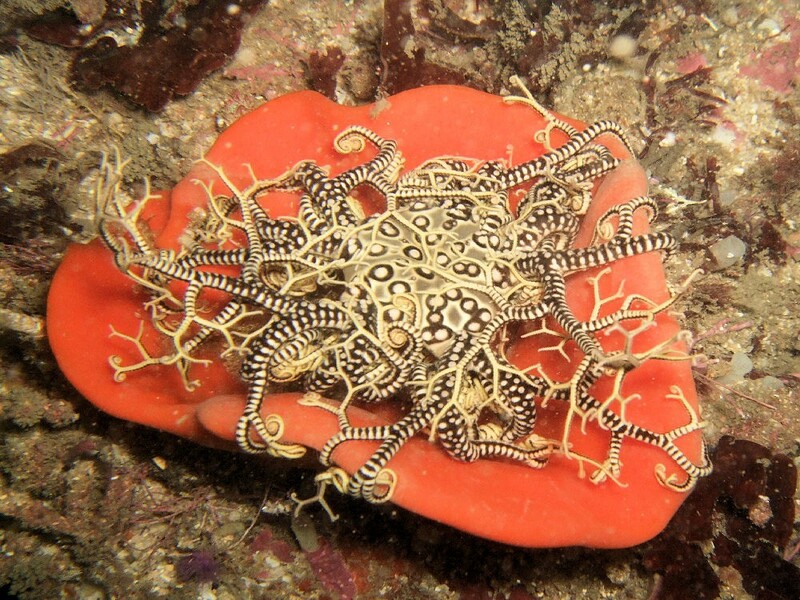 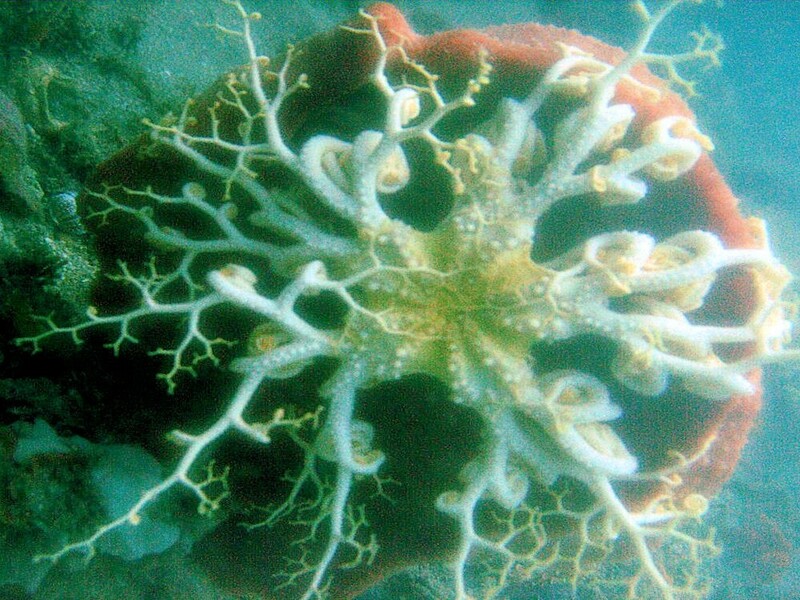 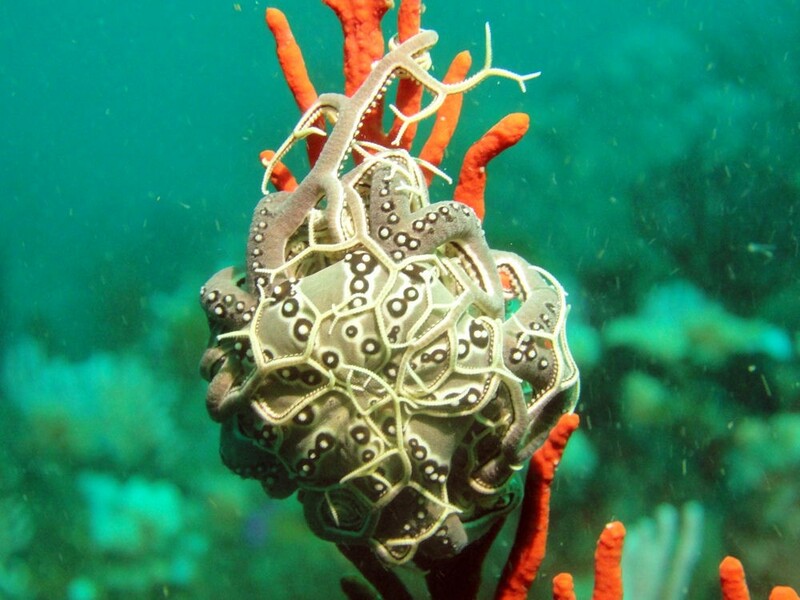 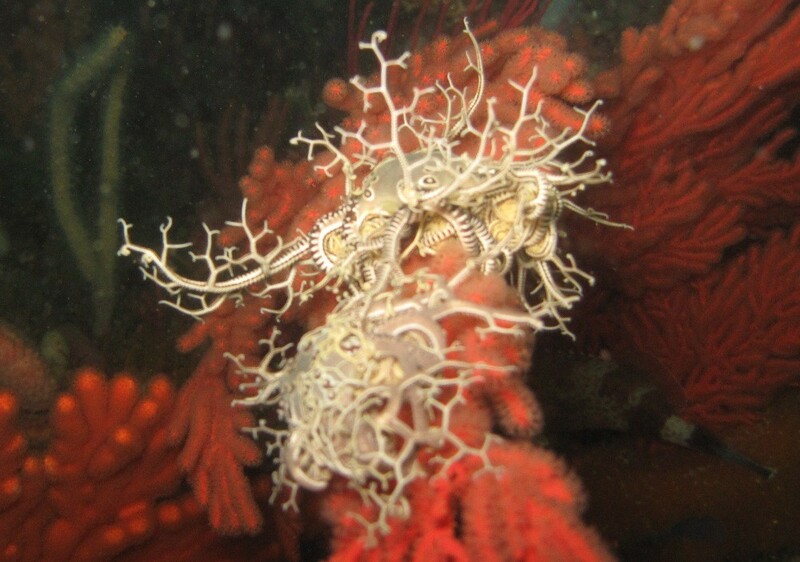 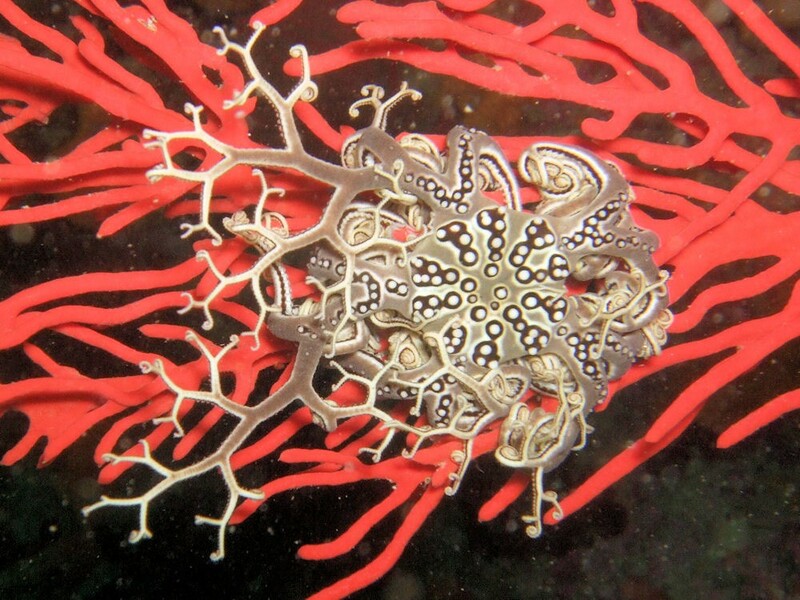 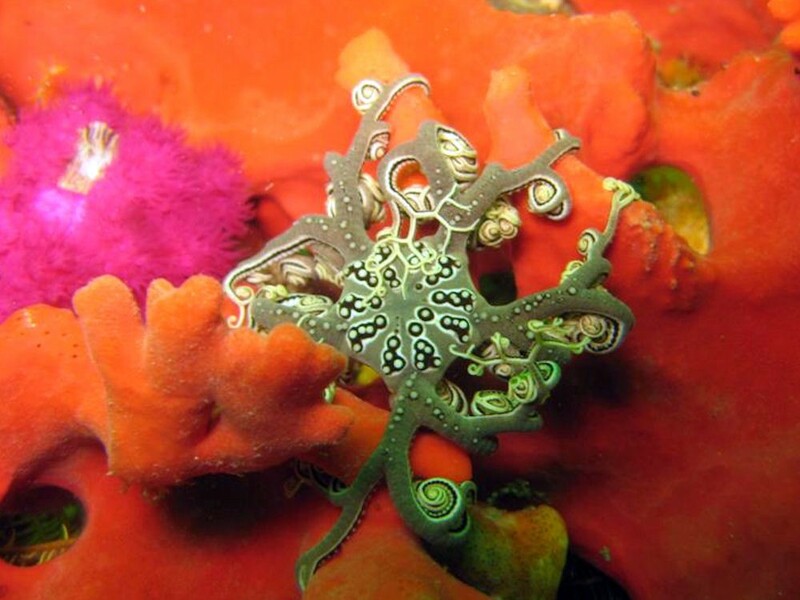 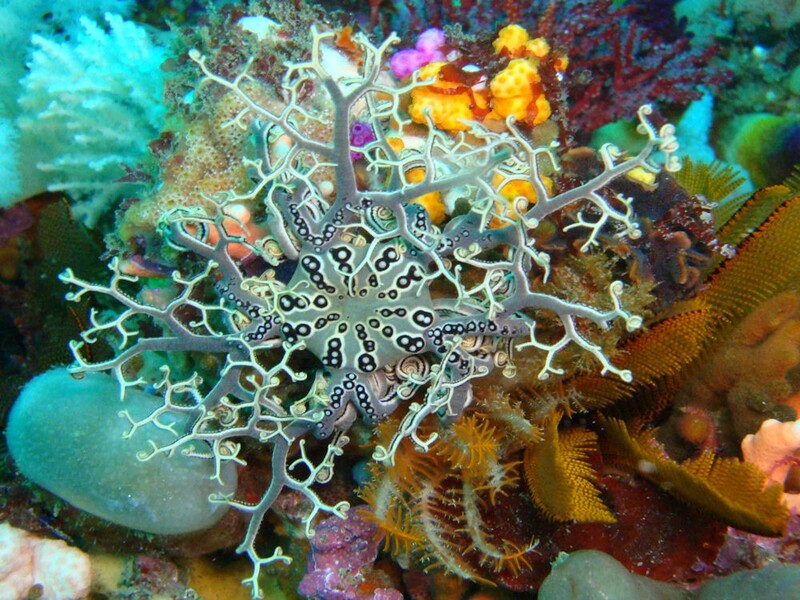 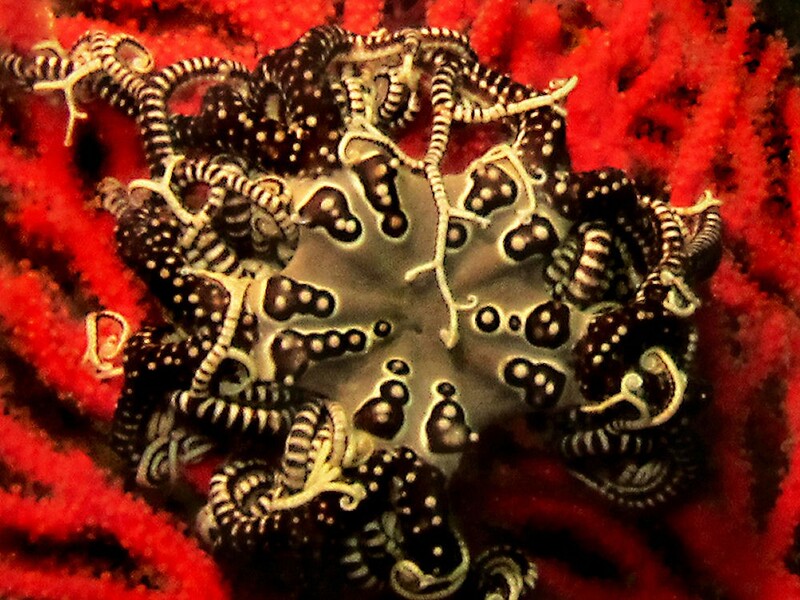 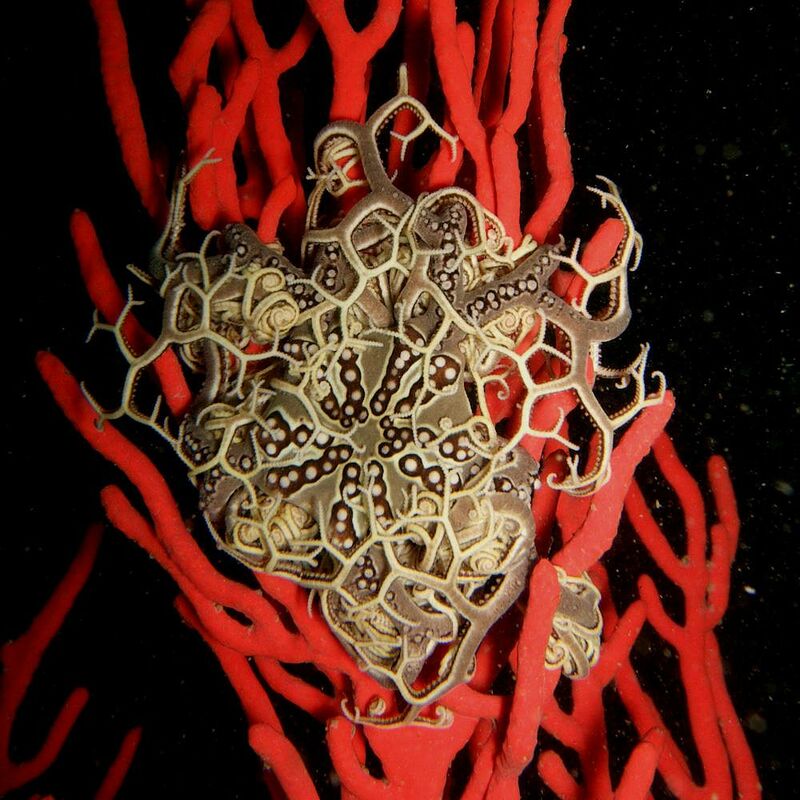 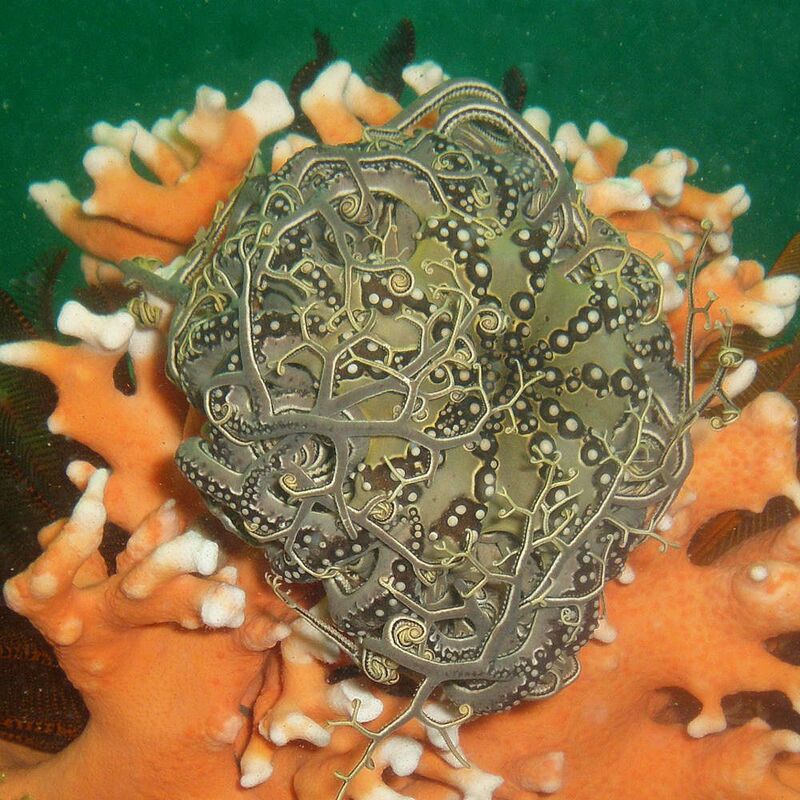 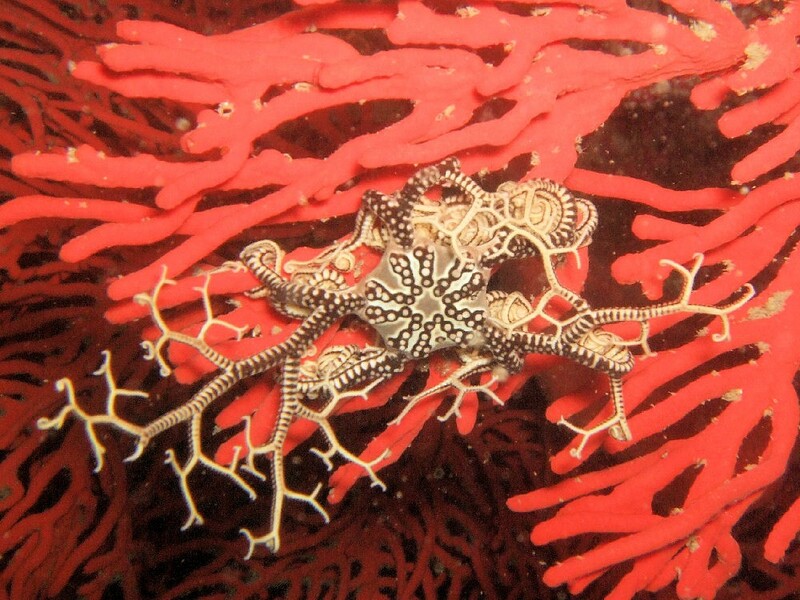 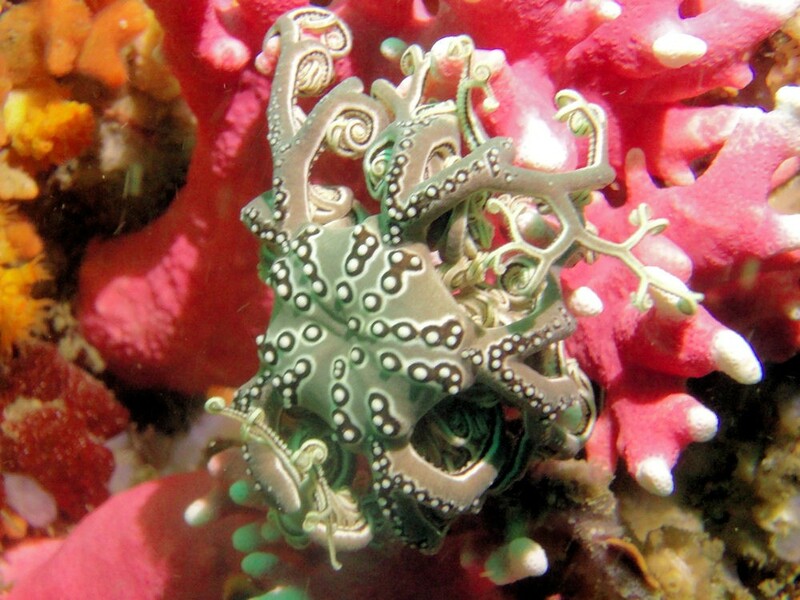 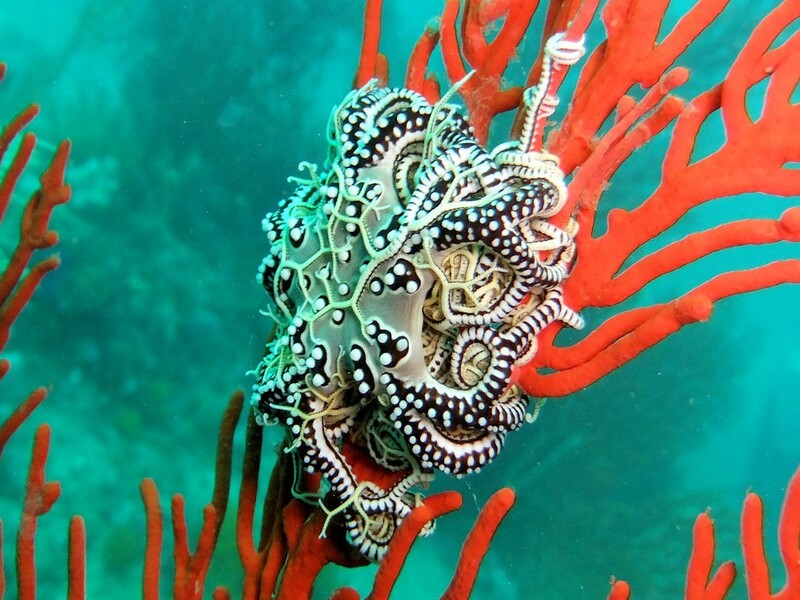 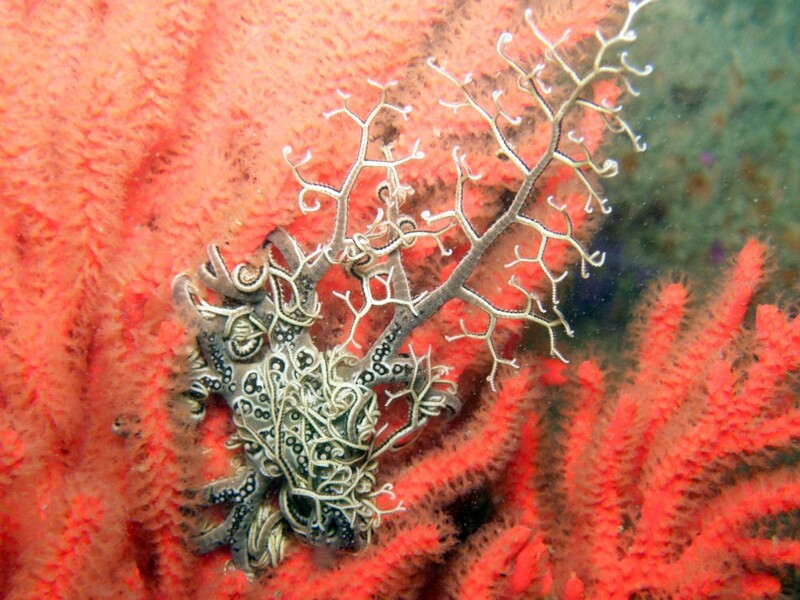 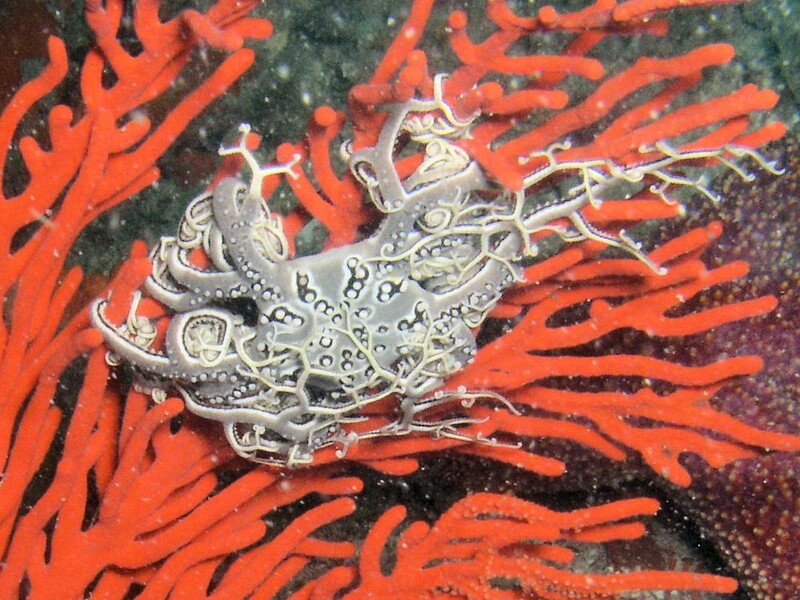 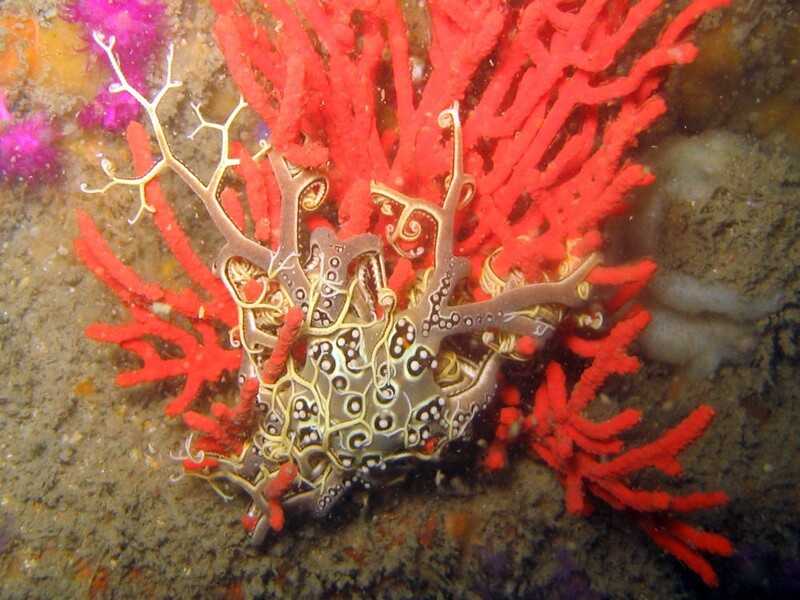 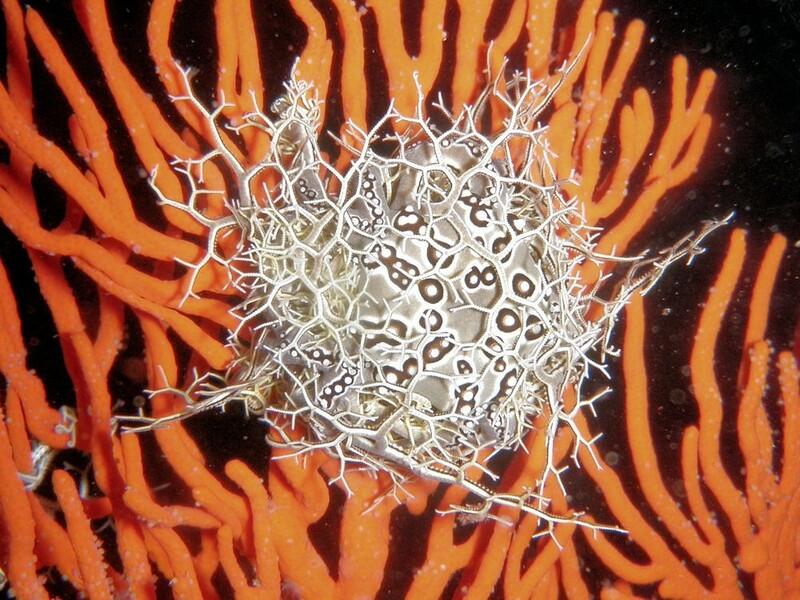 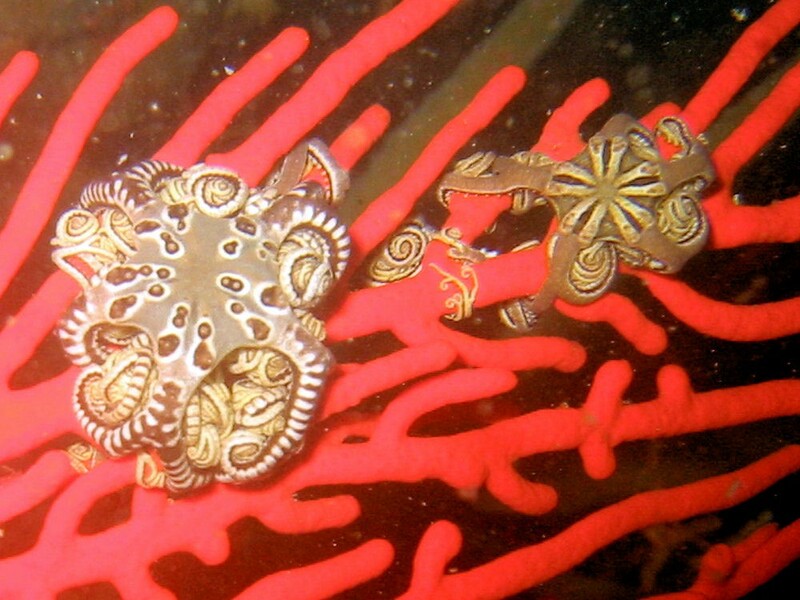 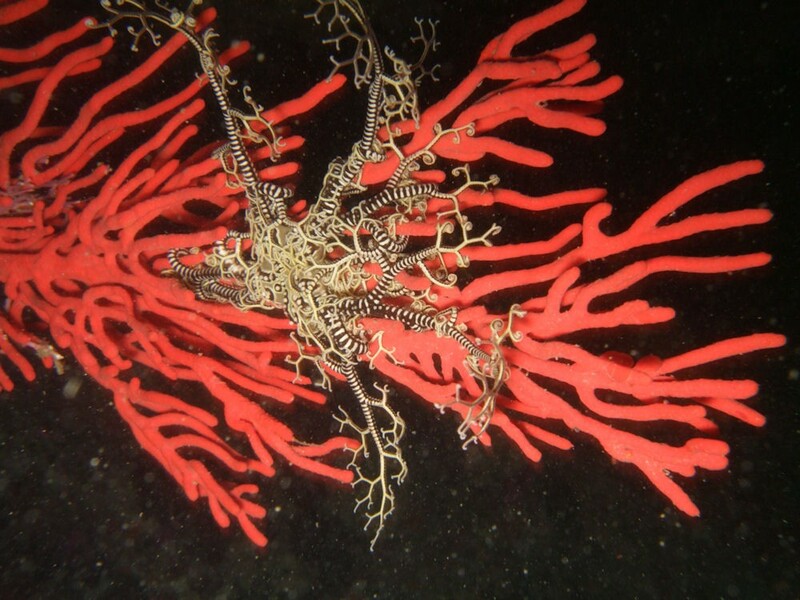 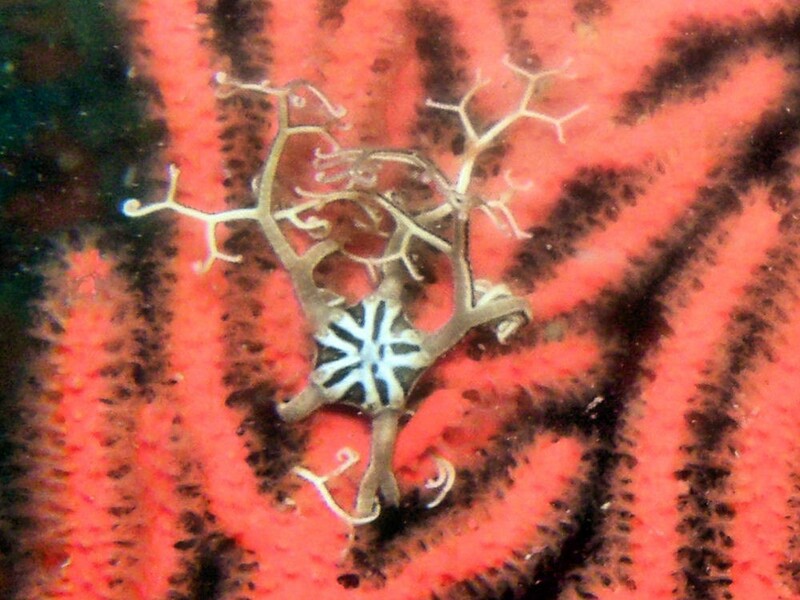 Basket stars are a member of the Brittlestar family, ultimately a member of Sea Star family. 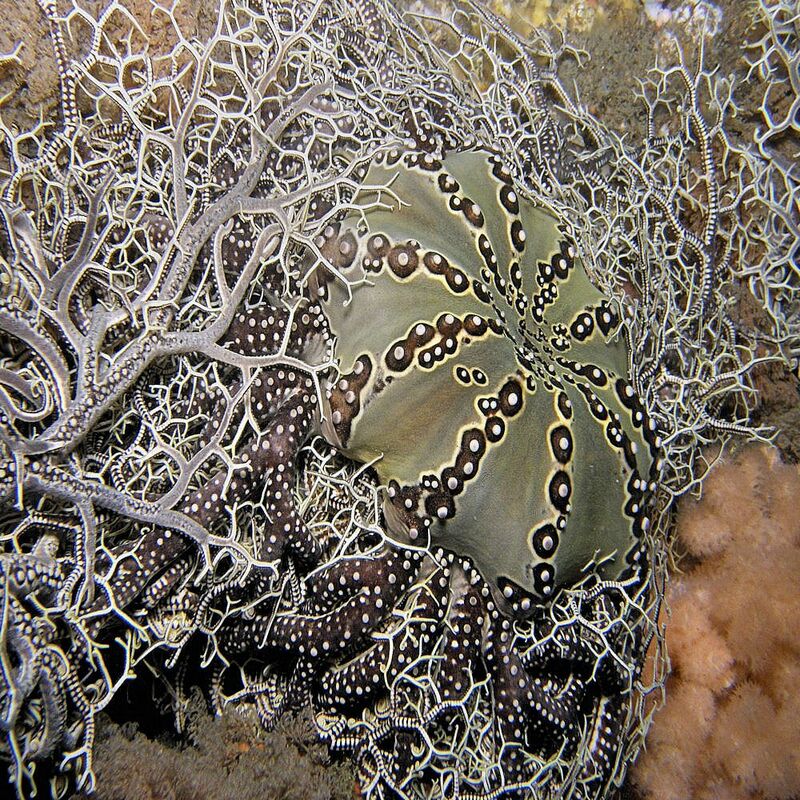 They have a flat circular body (disk) with long thin arms which branch out into even-finer striped tendrils. 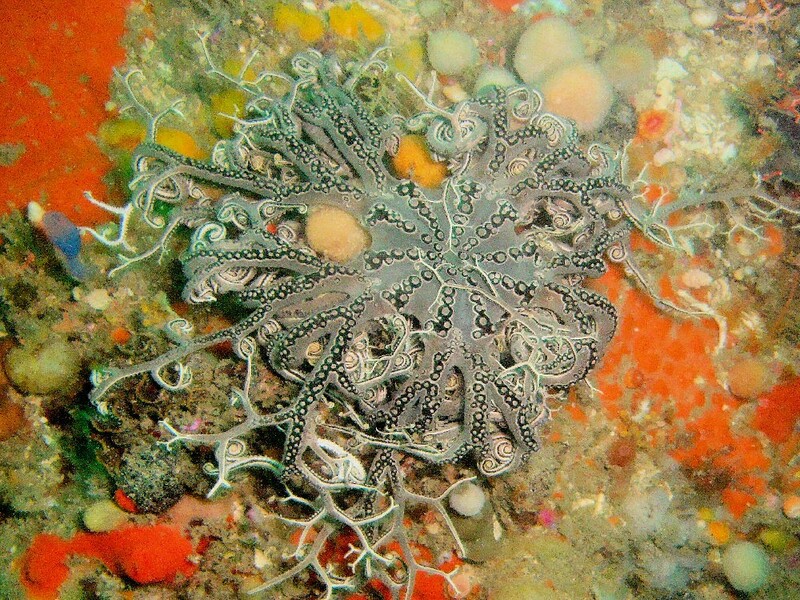 The tendrils contrast with the disk as they are often ringed and grey in colour while the disk has distinctive black spots. 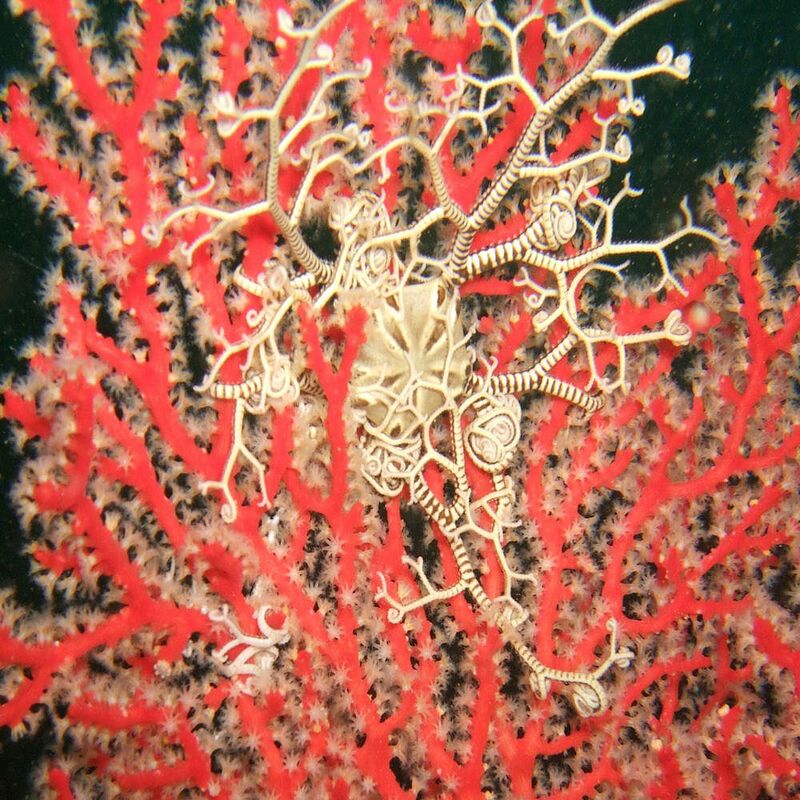 The mouth lies on the lower surface of the body. 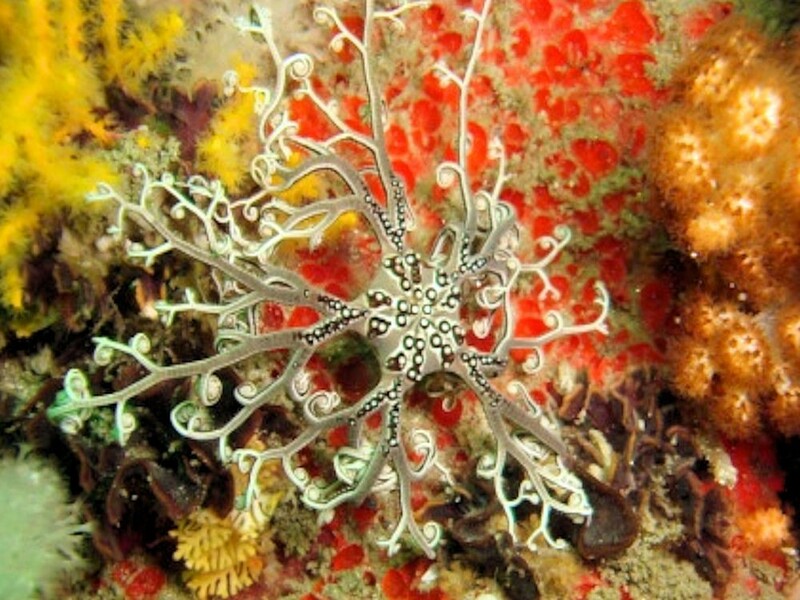 This beautiful star fish is a favourite among photographers and is usually found clinging to sea fans. 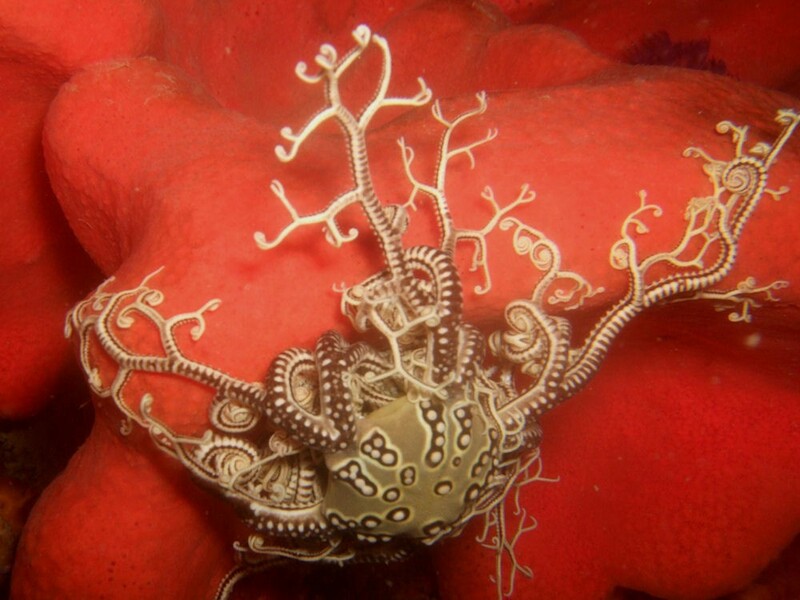 The name comes from the fact that it holds its arms outstretched like a basket to catch passing animals. 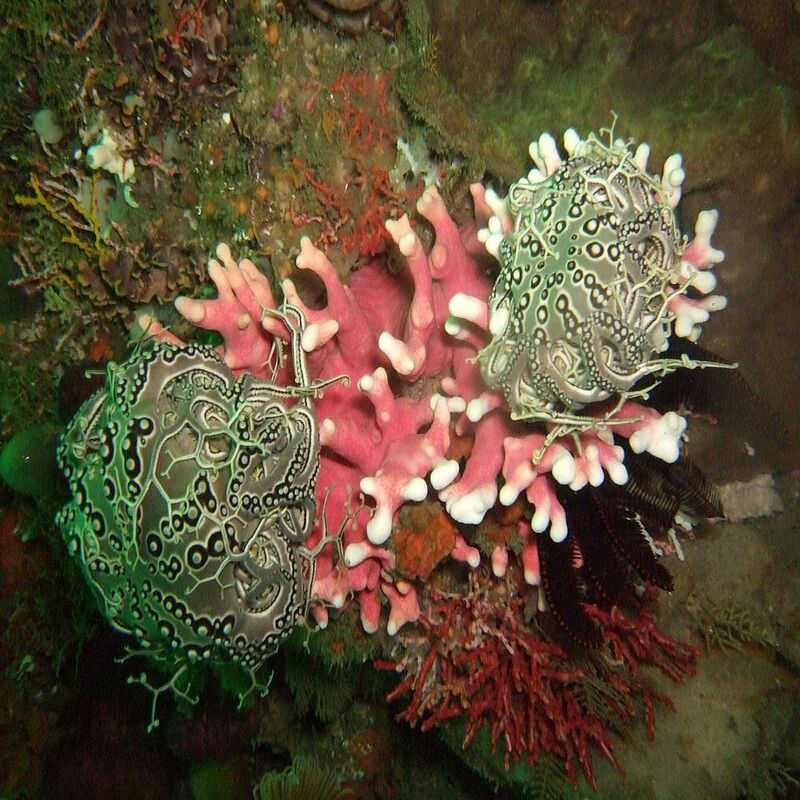 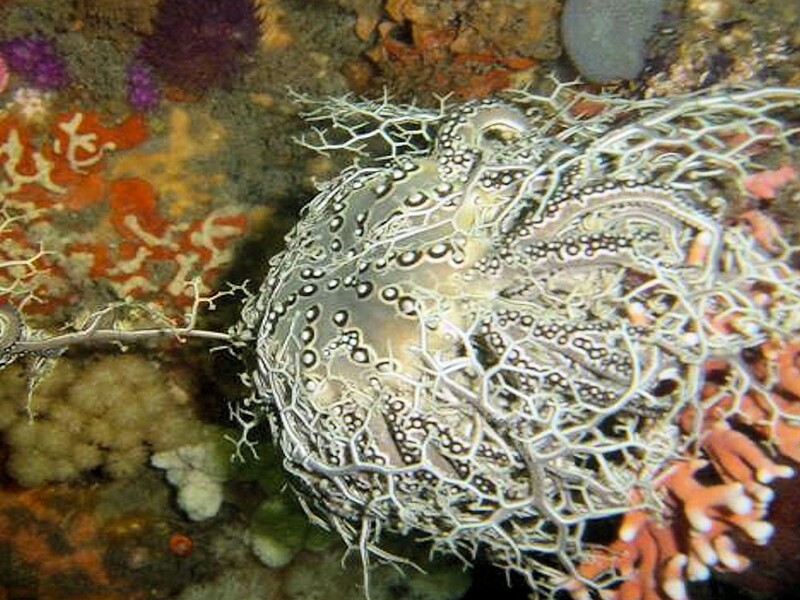 It can be found on all the reefs in Port Elizabeth but the numbers increase with depth. 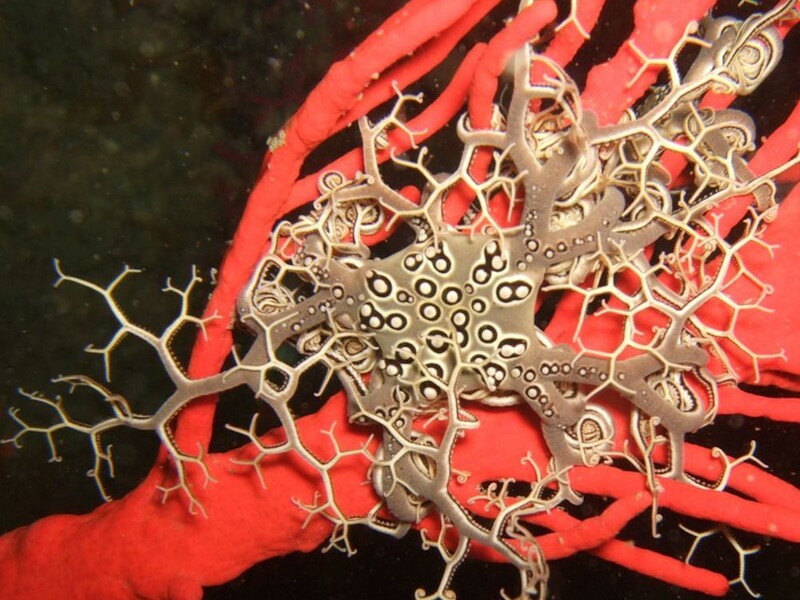 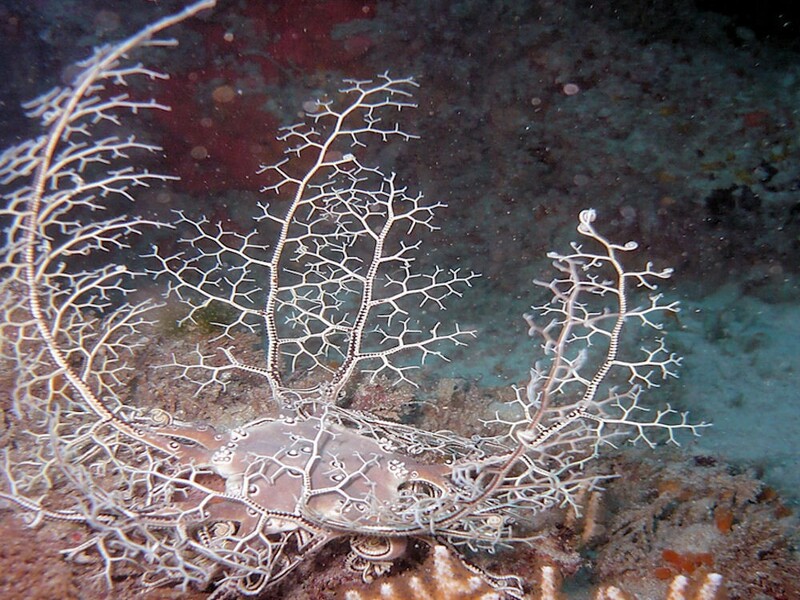 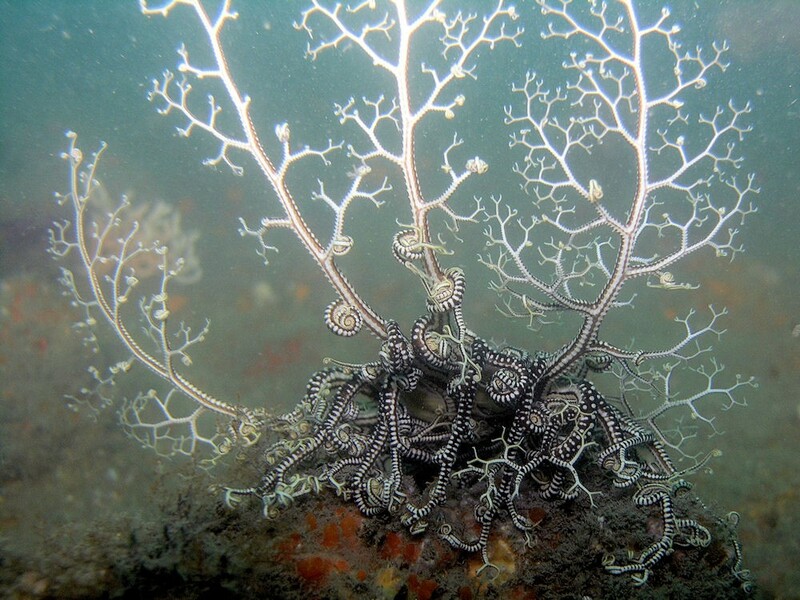 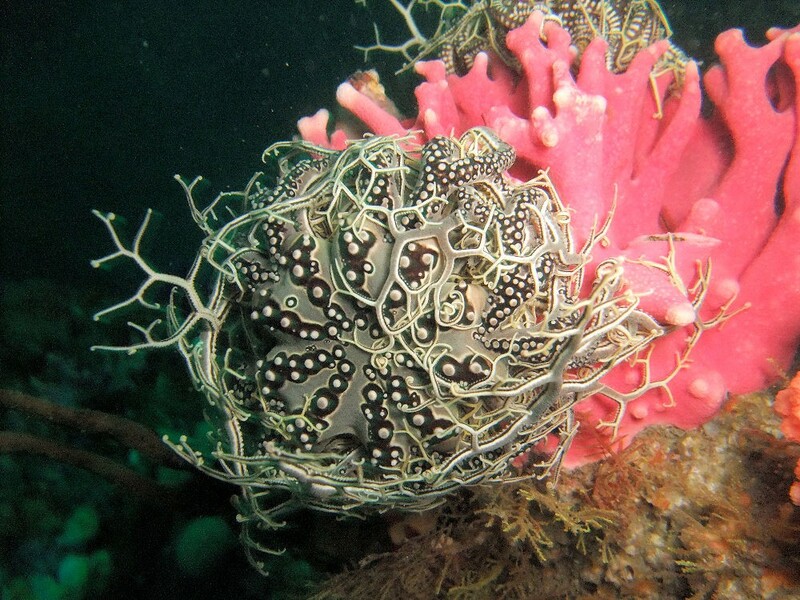 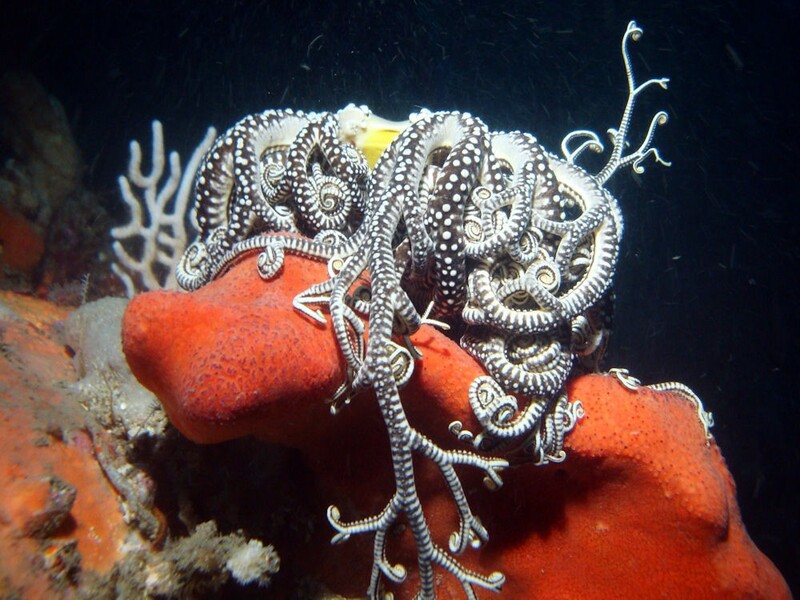 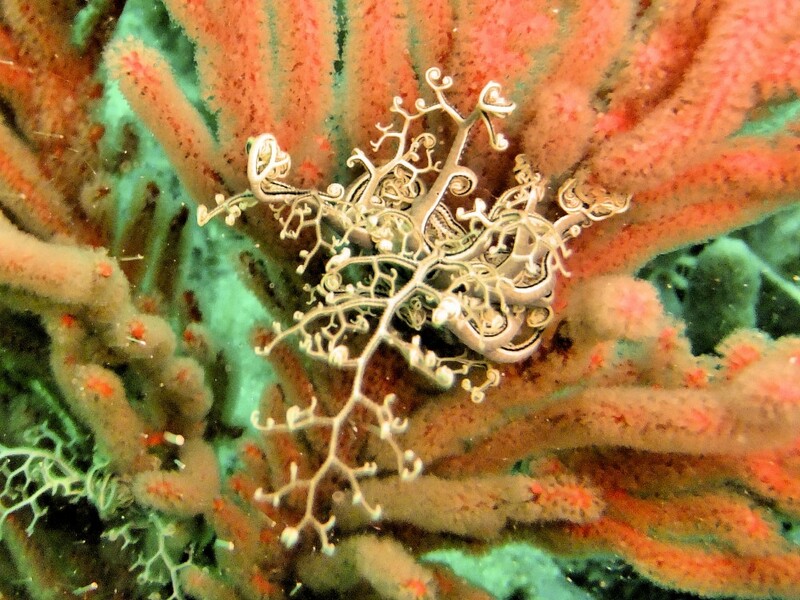 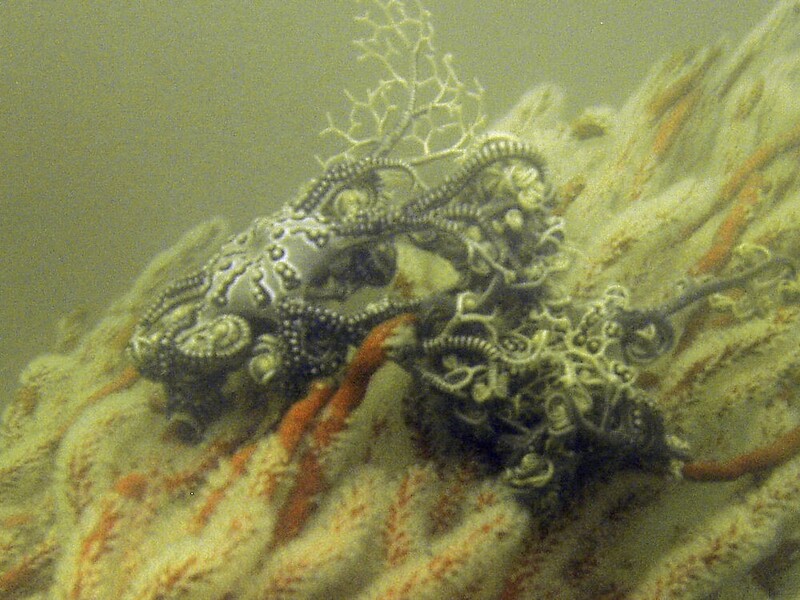 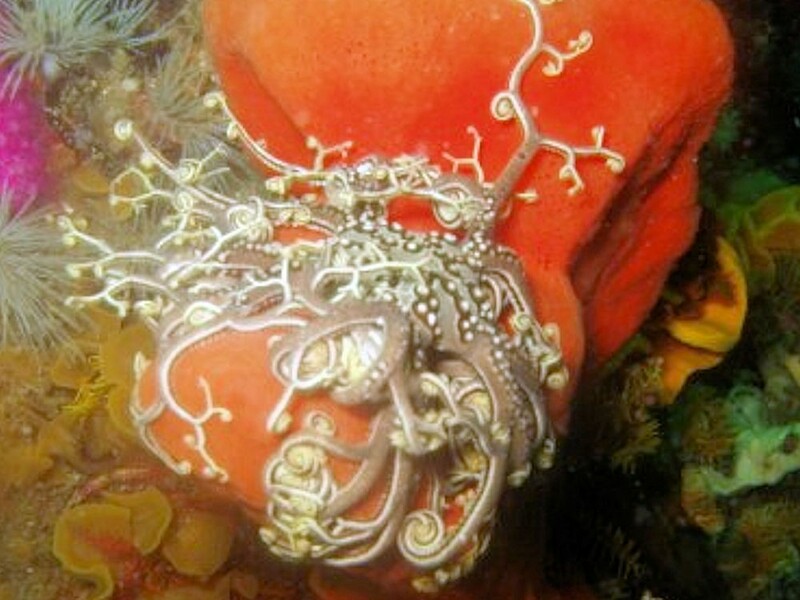 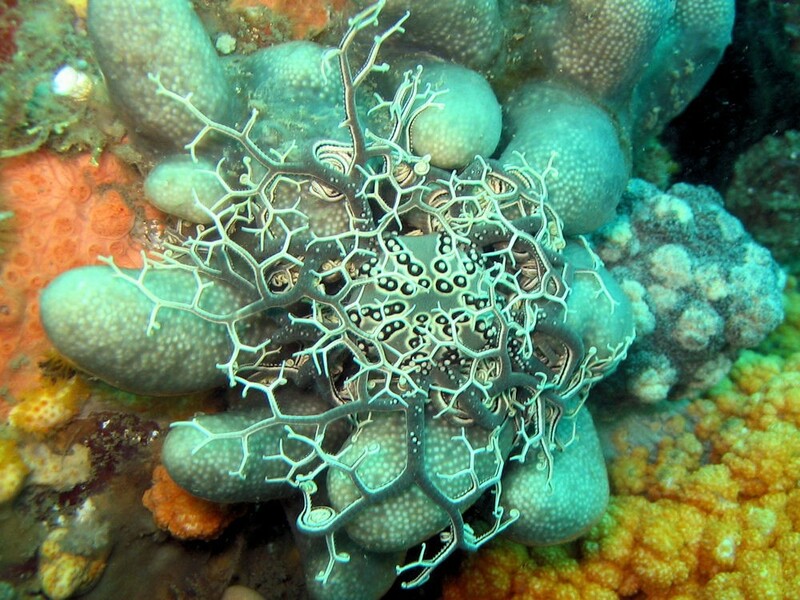 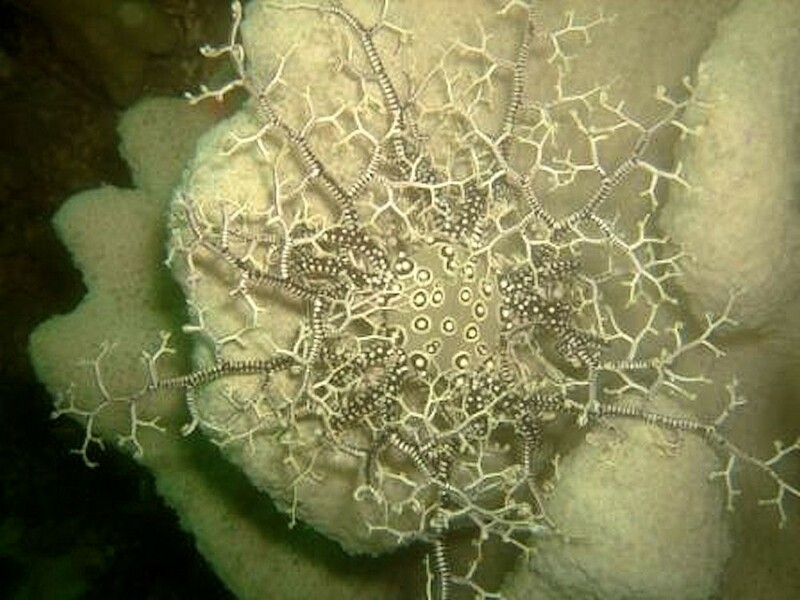 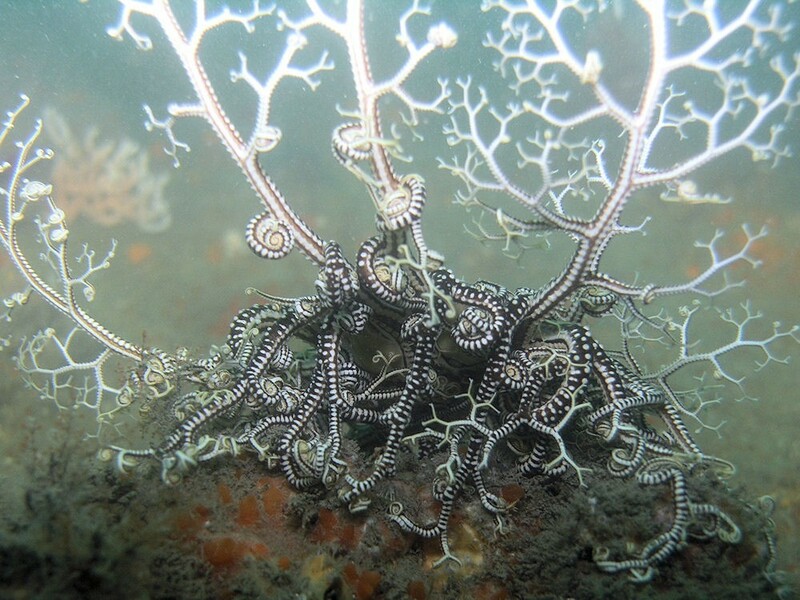 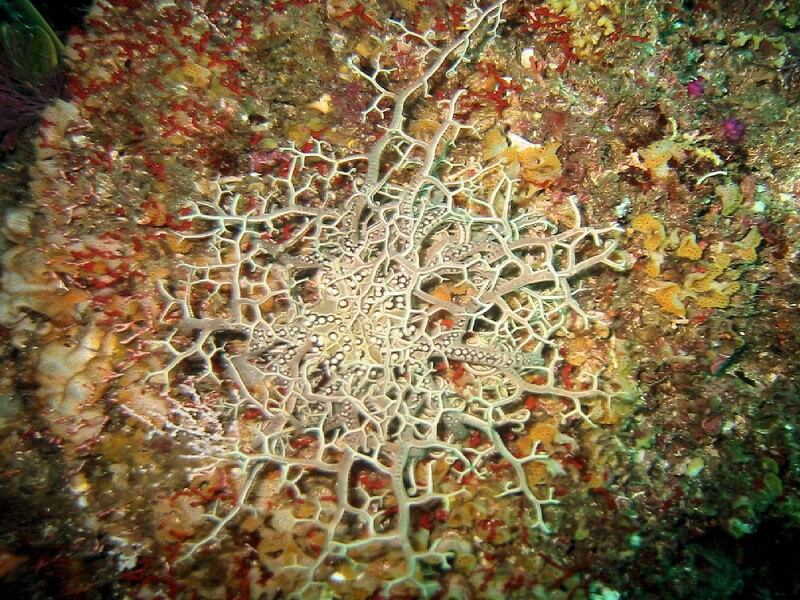 Vast amounts of basket stars can be found on reefs like Gunner’s Rock, Avalanche and Gasmic Gorge. 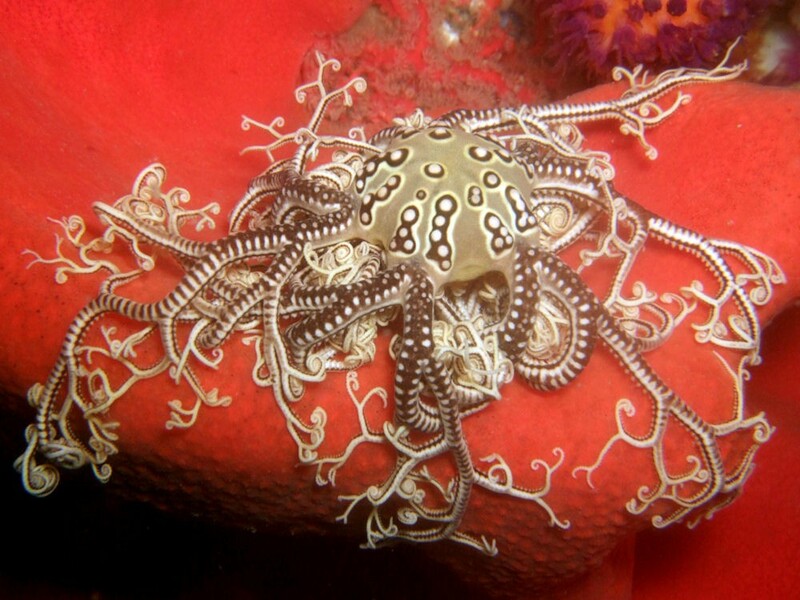 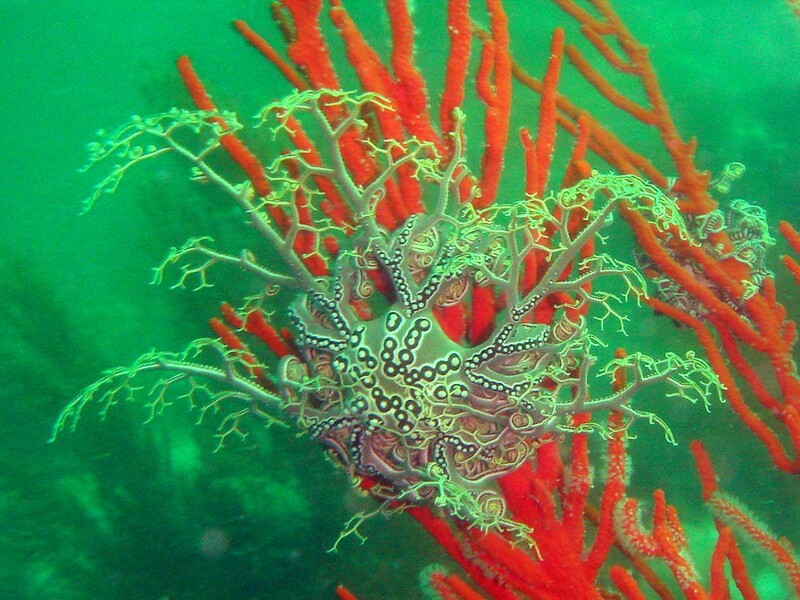 features: Multiple long thin arms which branch out into even-finer striped tendrils, which fan out to catch prey. 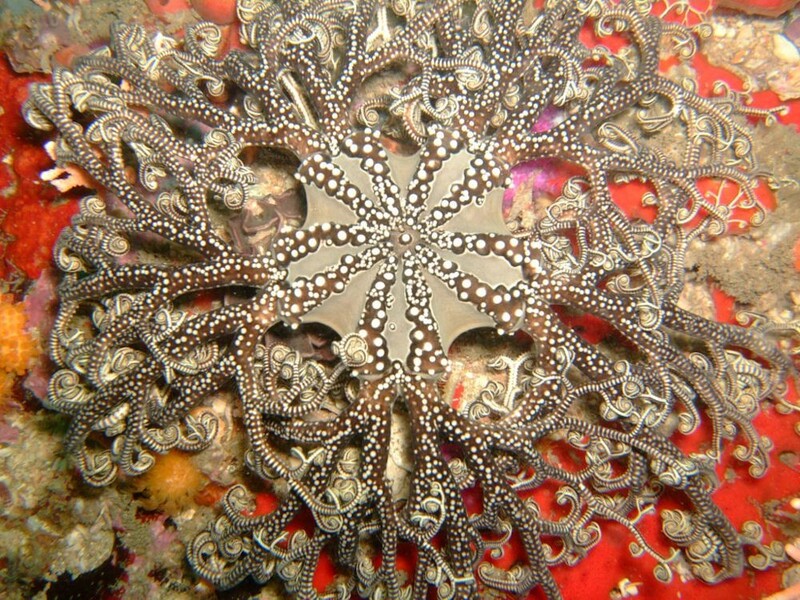 Size: Body average - 10cm in diameter. 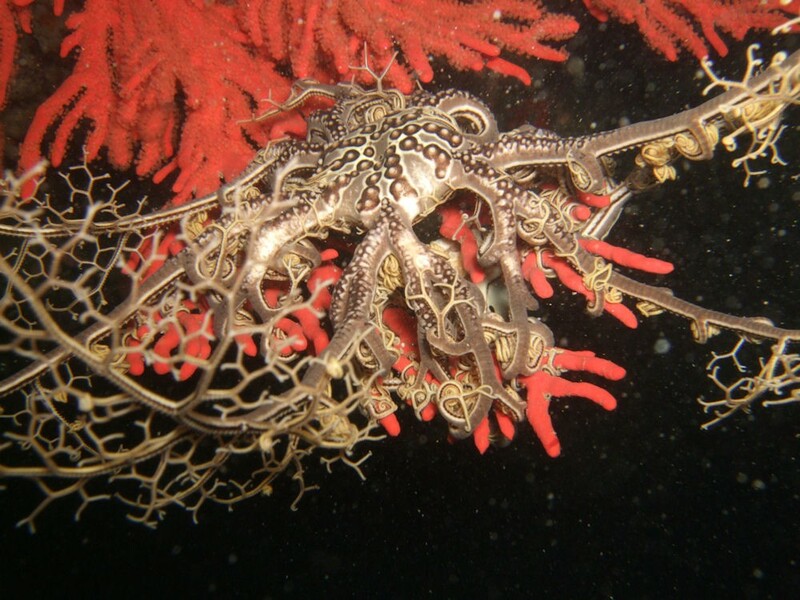 Behaviour: Holds its arms outstretched like a basket to catch passing animals. 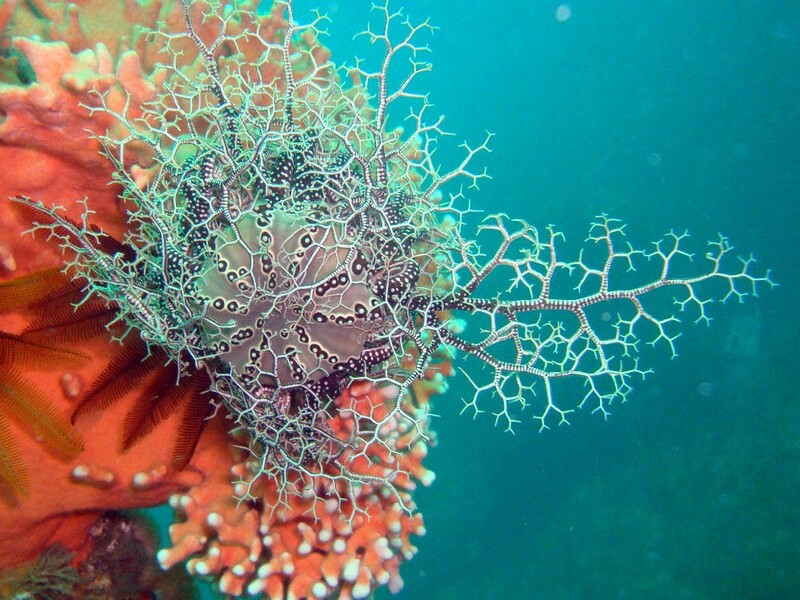 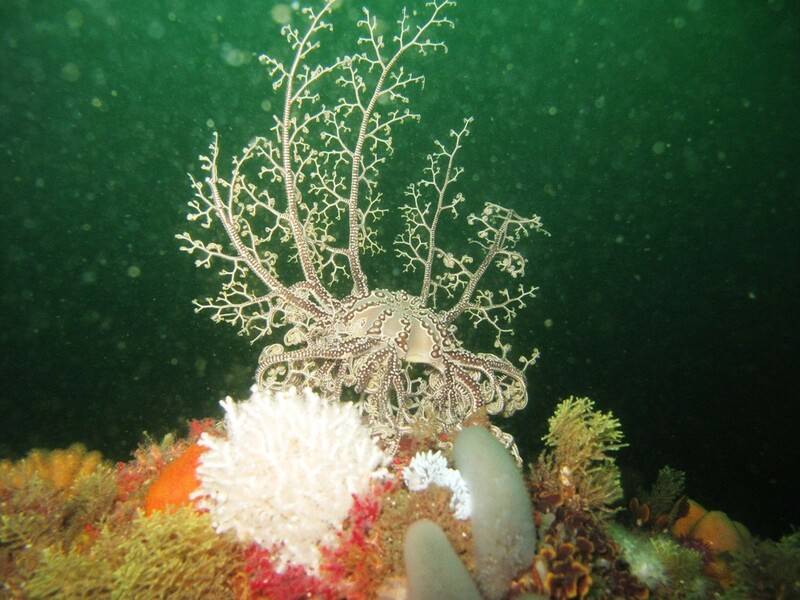 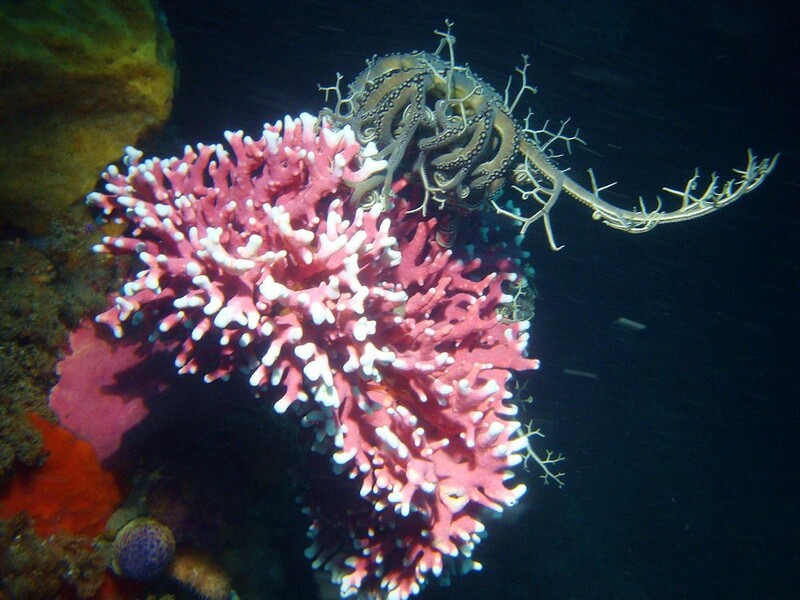 Habitat: Attach itself to sea fans and corals.